My process is recording playground equipment with homemade contact microphones and then remixing the sounds to make EDM. I've re-pitched short loops of sequences tapping on swings, monkey bars, a sign and a climbing frame -- click here to see video. 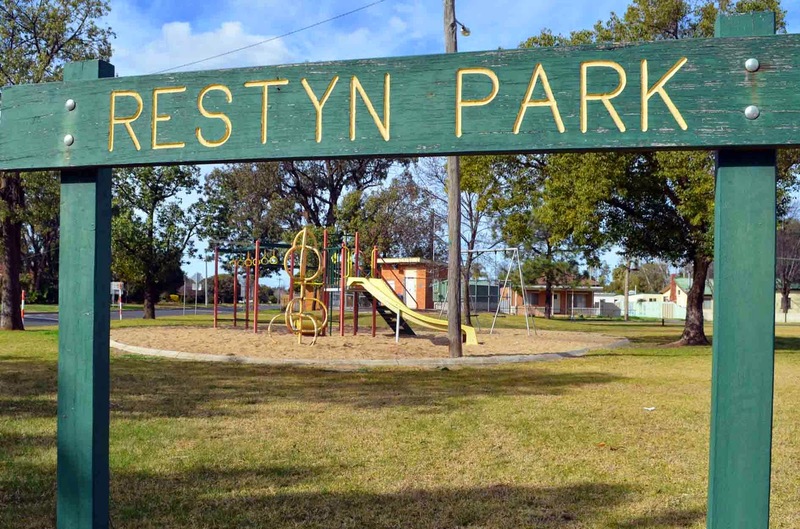 You can download the Restyn Park stems here. I recorded Restyn Park in Hanwood on 13 September 2012 but haven't done much with this material until now. My hair looked good that day, so I used images for a magazine article. This process of manipulating locations developed from an idea that landscapes could influence my audio productions. The Space Program had a cool philosophy that being based in regional Australia was a key part of their sound. 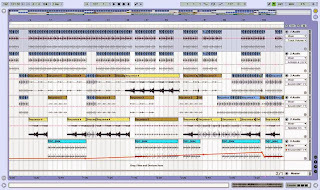 That made a lot of sense to me when I started remixing field recordings. Around the time I published my first album of electronic music online in 2004, I was introduced to the work of Alan Lamb and his large-scale aeolian harps via the Wagga Space Program's Unsound festivals. My partner Jo and I worked with Lamb for Unsound in 2006. Lamb showed me how he makes piezo contact microphones and those used for these recordings are the same pair shown in this guide. When I moved away from his installation outside Wagga Wagga, I started using them on playgrounds for a project to celebrate the centenary of the town Leeton. All sounds in the tracks on the album For 100 years used only those from the playgrounds in the titles. 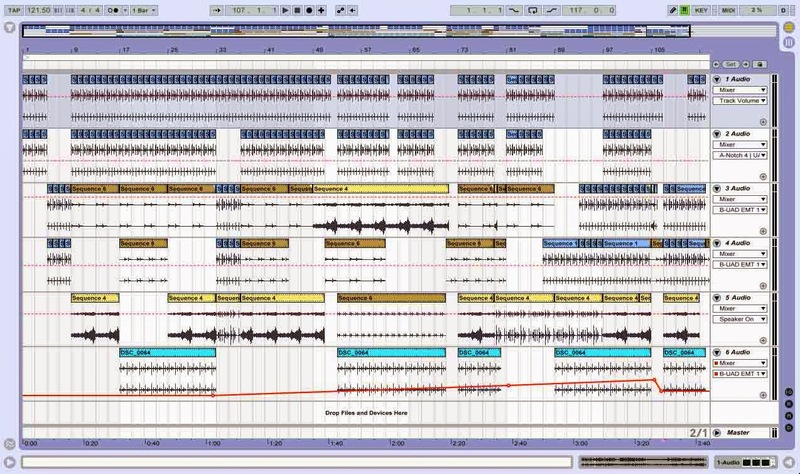 Of course, once you get an audio recording into Ableton Live there are a lot of ways to manipulate the sounds. I've also used these piezo contact microphones and Live to remix myself eating an apple for an art exhibition. You can hear more about my 'parktronica' in this short video. part of the permanent collection of the San Jose Museum of Art in San Jose, California. This Disquiet Junto project is the result of an invitation by the Museum for me to develop a sound installation to be displayed on its second floor from October 2014 through February 2015. Tracks submitted to this project will be considered for inclusion in that installation. After considering a drone, I decided to record a chord progression I've been developing for a song. Actually, one thing that's been an interest of mine in Junto projects is coming up with something that's distinct and I guess that's what led me away from the drone. I used my MIDI guitar to capture the notes and made a few edits before experimenting with different VST synths. 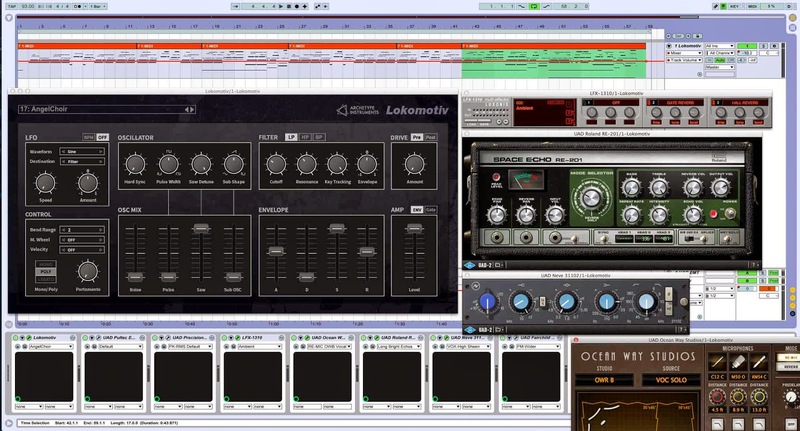 I settled on Lokomotiv again, which was used last week, then added effects including reverb and EQ with further reverb and EQ on a bus. You can see some of the effects in the screenshot above. It was written and recorded with a view to being looped, like the video, but it jumps an octave and an abrupt start didn't feel right. P.S. Below is an edit of the video with my soundtrack. Enjoyed listening to this mix the other day. 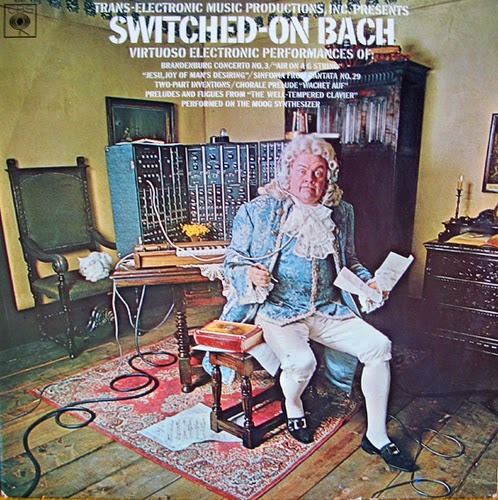 My introduction to electronic music as a child was Wendy Carlos' Switched On Bach album (shown). I remember asking my mum to play it as I liked the pace and relationships between the notes. So when the Disquiet Junto asked for 'old-time electronica' it was one idea and, after time wasn't going to allow me to make a Chemical Brothers homage this weekend, it was the project I developed. The Disquiet Junto this week asked for a sonic equivalent of air-conditioning. I suggested to Marc that it was Northern Hemisphere-centric as it's the middle of winter here and this morning was the coldest morning yet. The day was sunny though and some varieties of wattle have started to bloom, offering a promise that spring is on the way. 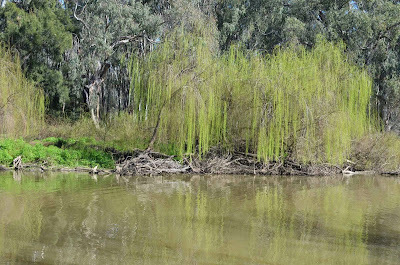 My partner gave me the idea to revisit my recordings of the Murrumbidgee River, which I'd made for the Reimagining exhibition last year at a similar time I think. 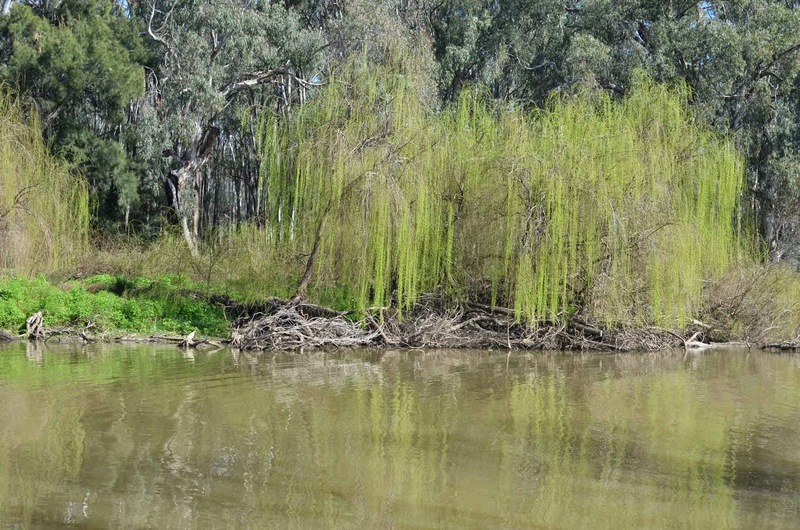 Cooling among the river red gums on the banks of (and in) the River is one of the highlights of this region in warmer months. Incandescent Arc from abre ojos on Vimeo.